Chia Pets are BACK and booming! They really never went away, but from a recent article from Slashfilm, we're seeing that they have a bunch of new licensed Chia Pets from Gremlins, Stranger Things, Golden Girls, Predator and a pending license on Rick & Morty! Thanks to NECA who manufactures and holds a bunch of brand title licenses for action figures, apparel, and collectibles. 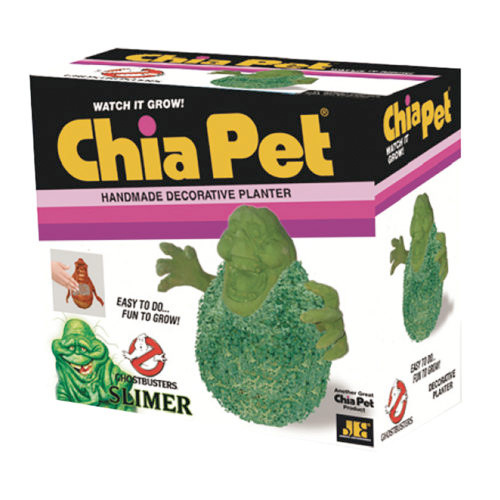 No release date announce for these Chia Pets featured below, but...NECA has licenses to Robocop, Terminator, The Evil Dead and Teenage Mutant Ninja Turtles, and many more! So we're very excited to see whats to come and start filling our houses with these.